Prünte Bakery, a 6th generation, family-owned company located in the Münsterland-region in Northern Germany, announced today that their world renowned Pumpernickel, Westphalian and Sunflower rye breads are now available for distribution in the United States. Prünte Bakery is being represented by SourceOne Sales & Marketing who will act as their U.S. sales office. SourceOne Sales & Marketing is located in New Hyde Park, New York. Prünte Bakery’s product line is an unadulterated creation of nature which contains no artificial additives or flavors. Prünte Bakery uses its own proprietary homemade ecological sourdough and refrains from adding any preservatives. Prünte Bakery only uses the best 100% natural ingredients when baking their breads. The art of bread-baking is the key to everything Prünte Bakery does as a company. “We are extremely excited to be the exclusive purveyor of Prünte Bakery and its product line in the United States and moreover be the first to let retailers and distributors taste these exceptional rye breads,” said Tom Leib, Managing Partner of SourceOne Sales & Marketing. Prünte Bakery’s product line of Pumpernickel, Westphalian and Sunflower rye breads are being offered to retailers in 8.8 oz. packages. Prünte Bakery’s exquisite Pumpernickel Bread is 100% whole grain rye, NO FLOUR! This one of a kind delicious Pumpernickel bread is dark in color, rich in dietary fiber and is baked in a special oven for at least 20 hours at low temperatures. Because of this unique baking process, this delicious bread delivers an exceptional, slightly sweet taste. Prünte Bakery’s superb Westphalian Rye Bread is 100% rye, NO WHEAT! This rye bread is made in the “finest Westphalian tradition” using their homemade natural sourdough recipe that has been handed down for six generations. This rye bread is high in dietary fiber and delivers a delicious mild sourly taste. Prünte Bakery’s Sunflower Seed Rye Bread is 100% rye, NO WHEAT! Of course, this rye bread is equally made by using their homemade natural sourdough. This delicious high dietary fiber rye bread is enriched with numerous sunflower seeds which ignites an intense nutty flavor. Sunflower seeds are naturally rich in vegetable protein offering consumers a healthy food choice. Come meet Prünte Bakery at the Summer Fancy Food Show in New York City from June 26th-28th, 2016 and taste their world renowned Pumpernickel and Whole Grain Rye Breads. 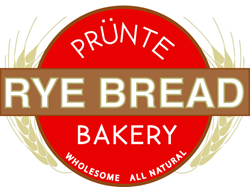 If you are a retailer or distributor and are interested in carrying one of Prünte Bakery’s delicious rye breads, contact SourceOne Sales and Marketing at 1-516-488-1610. The Prünte Bakery Company is a family owned business specializing in the baking of the highest quality Pumpernickel and whole grain rye bread. As a company, they proudly look back on 6 generations of baking excellence and family tradition. The art of bread-baking is the key to everything they do as a company. Their bread is a pure product of nature. The Prünte Bakery ensures this purity by using only the best 100% natural ingredients. The unparalleled quality of their bread is certified by the Prünte Bakery name on every package of bread. Try their breads and taste the tradition! For more information regarding Prünte Bakery in the United States, contact Thomas Leib at SourceOne Sales & Marketing at 516-488-1610. You can also find more information at http://www.prunteryebread.com.